Have you ever wanted to hang pictures on your wall with clothes pins or maybe use them as name card stands on your table but were discouraged because the pins were just too ugly? 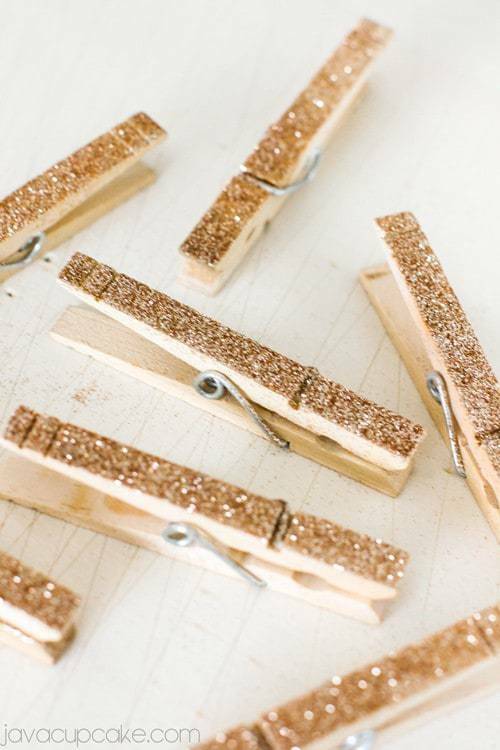 Now you can make simple clothespins glamorous with my DIY Glitter Clothespins video tutorial! 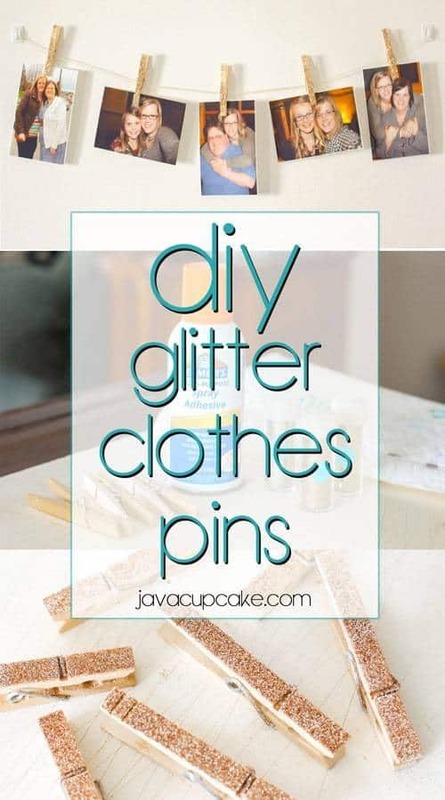 I have a big party coming up and I want to use glitter clothespins for several things at the party. I figured they’d be pretty easy to make myself so I gave it a whirl. 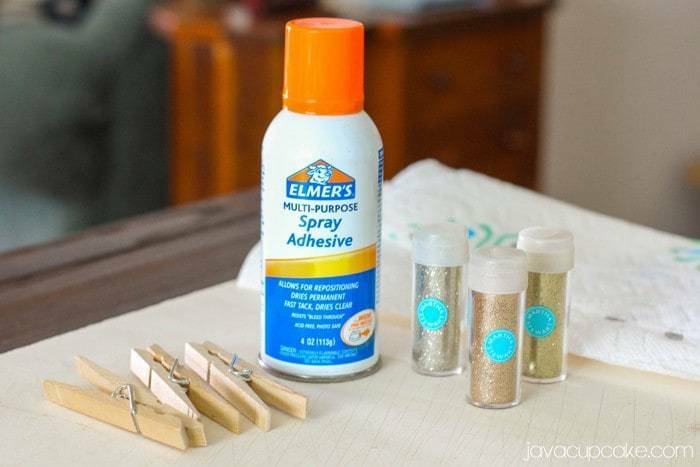 Below is the video tutorial for these DIY Glitter Clothespins and under that the step by step written instructions. Create a work space that is easy to clean up and that won’t be ruined by the adhesive spray. Place two paper towels side by side. 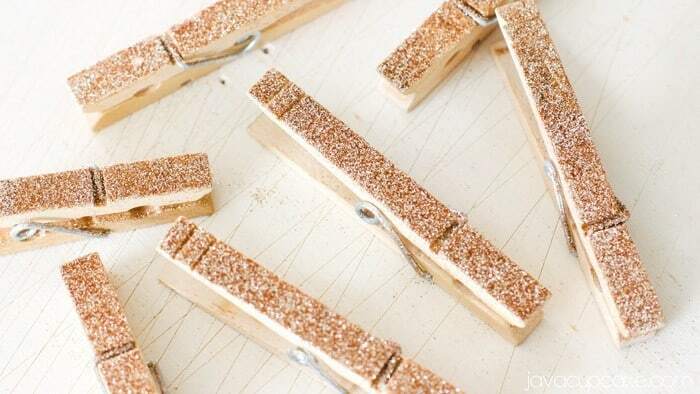 Separate the clothespins into two pieces. Leave the silver hinge attached to one and set the other aside. Place the pin half with the hinge on the paper towel and spray a thin layer of adhesive on the top. Move the pin immediately to the second, clean paper towel. Sprinkle glitter over the top onto the adhesive. Pat the glitter into the pin so it is secure to the adhesive. Tap off any excess. Set aside to dry for 10 minutes then reattach the other half of the pin. 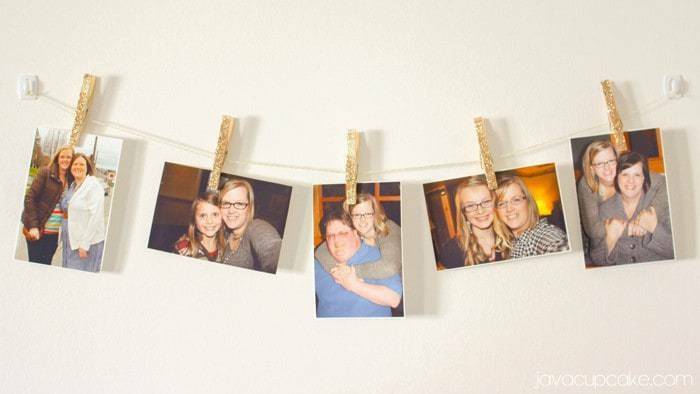 Use the clothespins to hang pictures, as place card holders or anything else you can dream of!